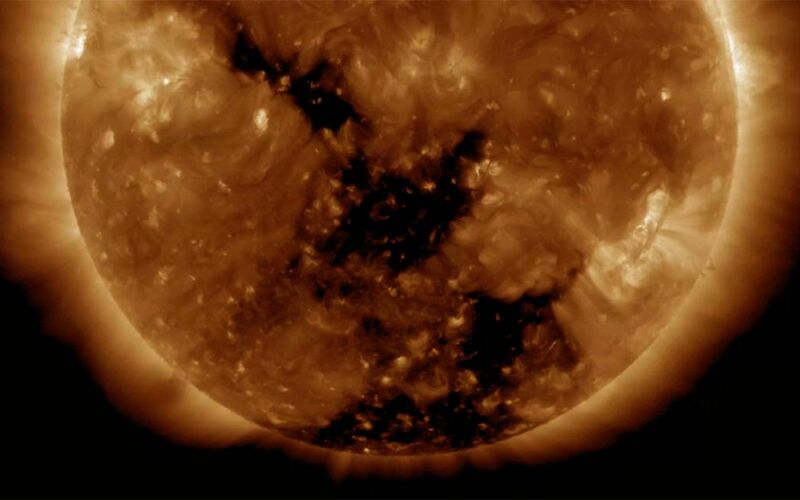 Two good-sized coronal holes have rotated around to the center of the sun where they will be spewing solar wind towards Earth (Nov. 8-9, 2016). 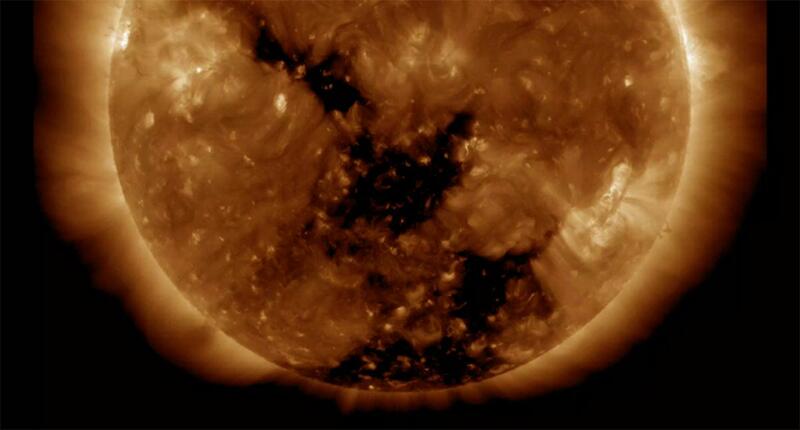 Coronal holes are areas of open magnetic field from which solar wind particles stream into space. In this wavelength of extreme ultraviolet light they appear as the two dark areas at the center and lower portion of the sun. 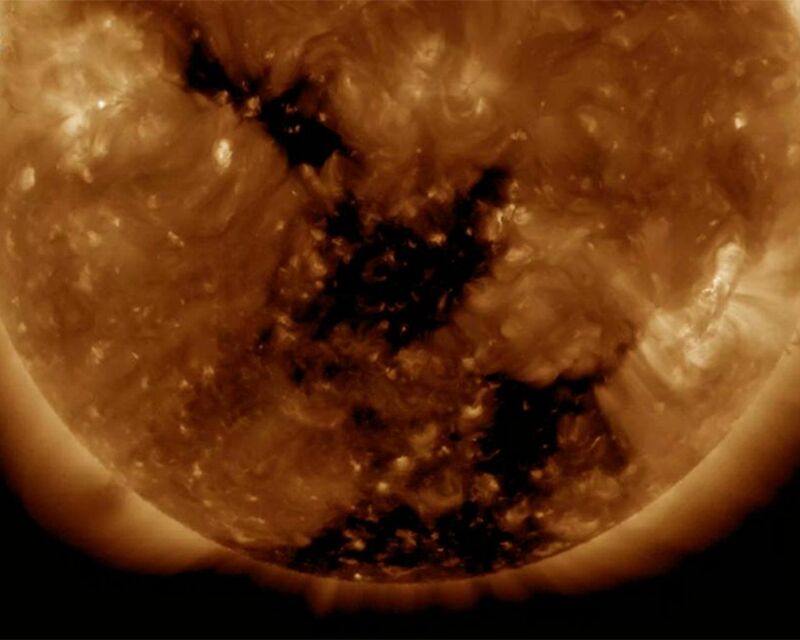 The stream of particles should reach Earth in a few days and are likely to generate aurora.